Some of the signals that it’s time to repaint are obvious—chipping and peeling paint and damaged walls are pretty good signs. The wear of an aging paint job may not be as obvious, especially if the home or business owner had taken good care of the original paint job. Remember that a good paint job is more than just an attractive feature; it also protects surfaces and structures from damage and the weather. Atascadero painter, George Borlodan, owner of Borlodan Painting has prepared the following tips to help people decide when it’s time to repaint. Fresh paint inside and out adds thousands of dollars to the asking price of a property that is for sale. Most real estate agents prefer to list homes that are freshly painted or have been recently painted. The colors used also influence the final price. Neutral colors tend to encourage buyers to pay more than do dark or trendy colors. Other painting tips that can add value to a home up for sale include complimentary trim, like doors and window trim, complementary colors for the garage and other buildings on the property, and the quality of the paint. High-quality paint is going to last a long time. The new home buyer is not faced with the thought of having to repaint in a few years. The fewer major projects the new family needs to do increases the attractiveness of the home and the asking price. The Atascadero painters from Borlodan Painting are the experts to call when you are preparing to sell your home. A new coat of paint on a commercial building gives the building a fresh look and a fresh image. When a business celebrates successes by upgrading its logo and corporate colors, a freshly painted exterior can add value to new signage and the corporate direction. Retail businesses, restaurants, and offices in high-visibility areas can all benefit from the eye appeal of fresh paint on both the exterior and interior. Depending on the material and the quality of the paint, exterior paint can last from five to 10 years. Painted stucco exteriors tend to last longer than wood. A high-quality interior paint job can last 10 or more years, depending on the care. Building exteriors are subject to environmental factors like the weather and air quality, especially near industrial areas and high volumes of fuel fumes from vehicle traffic. Wood, especially, is vulnerable to dramatic temperature changes. Some types of paint hold up better in certain kinds of temperatures. Exteriors may need to be repainted more frequently in regions with exceptionally cold or wet winters and dry hot summers. Children’s rooms, kitchens, and hallways seem to get more hand prints, dents, and chips than the rest of the house. Repainting can be postponed by taking steps to keep the paint looking fresh by prompt and proper cleaning and repairs. However, not everyone has the luxury to add washing and repairing walls to an already too long list of things to do. There are options to repainting an entire room. 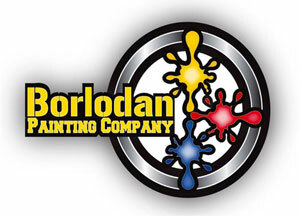 The painting experts from Borlodan Painting can help you determine the best options and help preserve your budget. Structural repairs almost always require painting at least the portion of the building that was repaired. The current paint color can be matched and just the needed area painted. 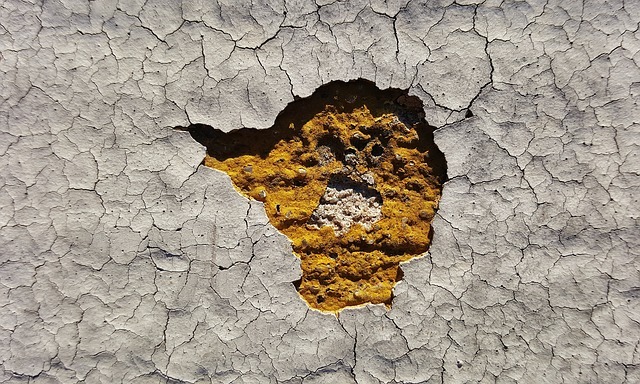 If the repairs are extensive, such as replacing an entire exterior wall due to termite damage, and the original paint job is old, it might be more economical to repaint the entire building. Remodeling calls for new colors and new paint. Sometimes you just want different colors in the living room or want to give the exterior a facelift. A child turning 12, or 16, might want their bedroom repainted with new favorite colors. Turning a vacated bedroom into a guest room or sewing room might be the occasion for a fresh paint job. There are no real rules for when to repaint except when it is necessary to protect surfaces and the value of the property. The biggest delay is often the budget and that might not be as much of a problem as you are thinking. Borlodan Painting makes very reasonable efforts to work with most budgets. Call the Atascadero painter for a consultation.